4 old cob watchtowers built in late Qing dynasty, over 100 years ago. The location of towers will have a urban renewal project, so the only way to protect them is moving the towers to a new pointed location by 24 axle lines China SPMT. The new location will be developed to a 2,800m² watchtowers’ exhibition square. Cob watchtowers also called block towers, built to defense robbery a hundred years ago. 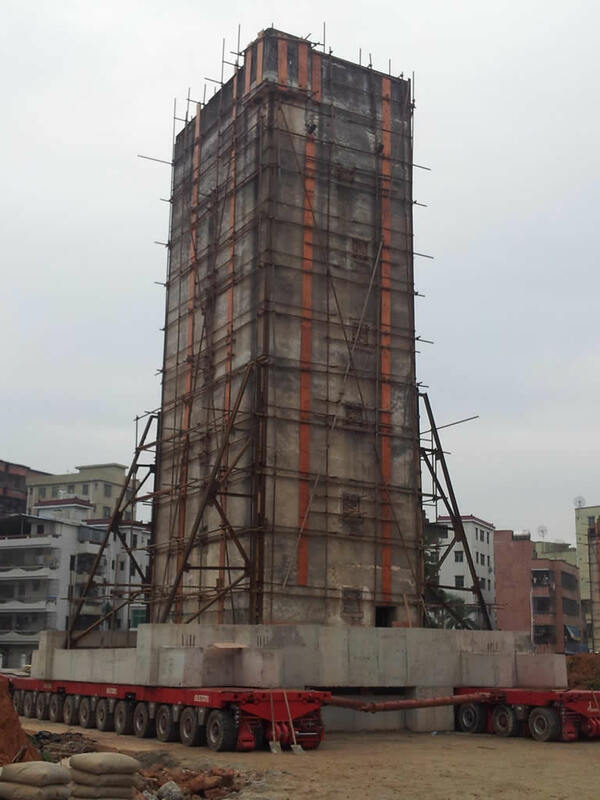 The job performed by Shanghai Xianwei, a company specialized in lifting and moving of bridges and buildings. Due to they are old cob buildings, reinforcement work in and out of those towers are a must have job before to go. Several hundreds meters moving took hours, but preparation work took 62 days. 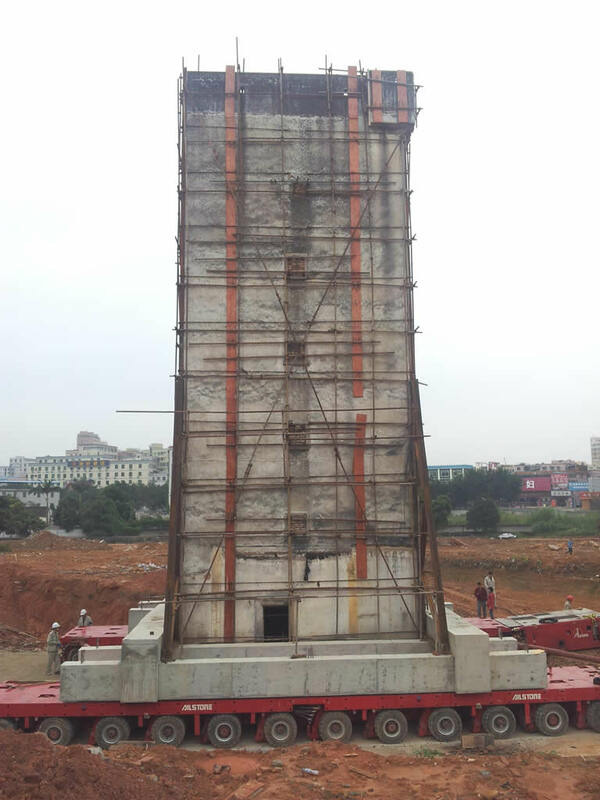 After tower’s foundation excavated and reinforced by concrete piers, the SPMT went under the concrete piers then lifted tower for movement. Due to narrow paved road and precise location requirement, modular trailer is not suitable for the specific job.